Ed. Note: The original version of this story incorrectly referred to John Patton as the president of the J.J. Mottes company. He is, in fact, a spokesperson. New evidence reveals some state lawmakers, state agencies, association leaders and municipal employees were aware of a growing number of failing foundations allegedly linked to one concrete company back in 2002. The letter from former State Rep. Michael Cardin (D-Tolland) to a group of eastern Connecticut lawmakers is dated October 7, 2002. Cardin identified some constituents of his as well as some in his “colleagues” districts “affected by a faulty concrete batch produced by Mottes concrete." Cardin listed two categories under which the Attorney General can sue: Licensing and the Trade Practices Act. The list of attendees included were representatives from the Attorney General’s office, the Department of Consumer Protections and Legislative Commissioners. Also said to be attending are lawmakers, affected homeowners and “various concrete experts." 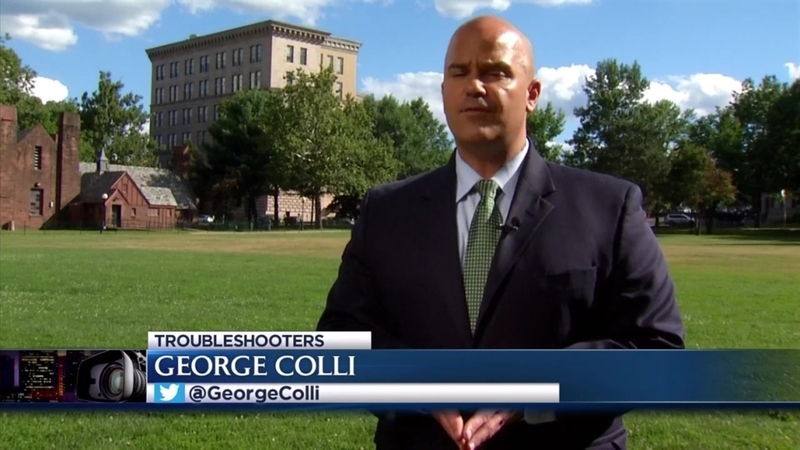 Cardin, who left the legislature in 2005, told NBC Connecticut Troubleshooter George Colli he remembers members of the Home Builders Association and town building officials also present in the meeting. He says it was the ordeal constituents Linda and Robert Tofolowsky were going through that led him to sound the alarm. As for why he called on then Attorney General Richard Blumenthal to get involved, Cardin said he “needed more allies to fight their battle and fight the others." The Attorney General’s office and Department of Consumer Protection said they have no recollection or record of the 2002 letter or 2003 meeting. Sen. Richard Blumenthal said he remembers there was no investigation because he was never asked to pursue a case by the DCP. Previously, the Troubleshooters reported the earliest any state agencies were aware of the problems was when the DCP investigated multiple homes affected by the failing foundations in 2008. The Department of Consumer Protection did not issue an advisory of the problem until current Commissioner Jonathan Harris visited a home with us two weeks ago. He sent out a warning to home inspectors and realtors last week. Gov. Dannel Malloy requested Attorney General George Jepsen assist the Department of Consumer Protection in a civil investigation last Thursday. The Attorney General’s office said the investigation has begun. This comes after the Troubleshooters found hundreds of homes with concrete supplied by J.J. Mottes between the early 1980s through 1998 suffering from failing foundations. Representatives from J.J. Mottes declined to comment. They have declined to answer any questions posed since the original Troubleshooters story aired on July 21. In that story and in the weeks since, the Troubleshooters featured homeowners from East Hartford to Ashford with failing foundations. In a comment for the original story, spokesperson for J.J. Mottes Company, John Patton, said the company has received no issues with any concrete supplied after 1998 and they’ve begun working with managers, geologists and testing labs to review our manufacturing methods and materials. That review began after NBC Connecticut first questioned them. Former Rep. Cardin said he can’t believe it’s taken this long for the issue to be made public and never imagined the problem would grow to be as widespread as it is today with at least hundreds of homes and entire neighborhoods are affected with the issue. “I feel serving in the statehouse you're fighting a lot of battles- some small, some big. I felt this was a big battle," said Cardin. “I really feel the evidence is clear, if there is some body that has the authority, they need to issue a cease and desist order against the Mottes company today." Viewers have identified to NBC Connecticut nearly 200 homes dealing or that dealt with a crumbling foundation. If you dealt with the issue, email your story to Troubleshooters@NBCConnecticut.com. Ed. Note: As the Troubleshooters have reported on this issue over the past year and a half, the Joseph J. Mottes Company (JJ Mottes) has evolved its response. Click on this link to see the company’s most recent full statement to NBC Connecticut and its response to the State of Connecticut.